Description: IT’S THEIR PLANET. WE ARE THE ALIENS. 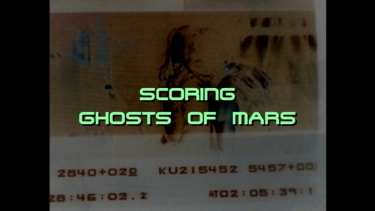 As the film opens, a ghost train pulls into Chryse City, so named for a flat plain north of the Martian equator. No driver is at the helm, and only one passenger is on board. 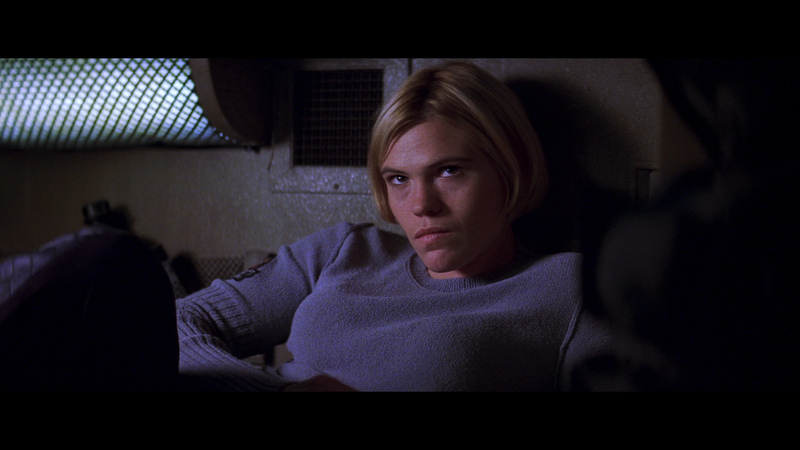 She is Melanie Ballard (Henstridge), a cop who headed a detail to an outlying mining town named Shining Canyon to bring back a killer named Desolation Williams (Ice Cube). Called up before a tribunal in the matriarchal Martian society, she tells her story, and most of the action is in flashback. 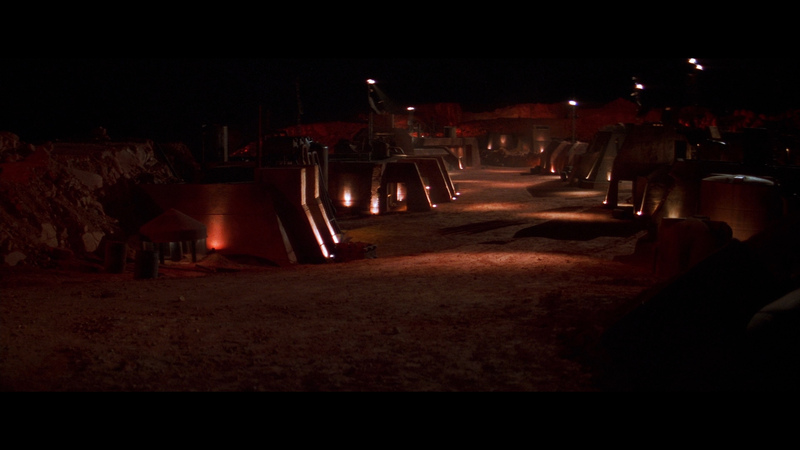 The mining camp seems empty when the cops arrive. 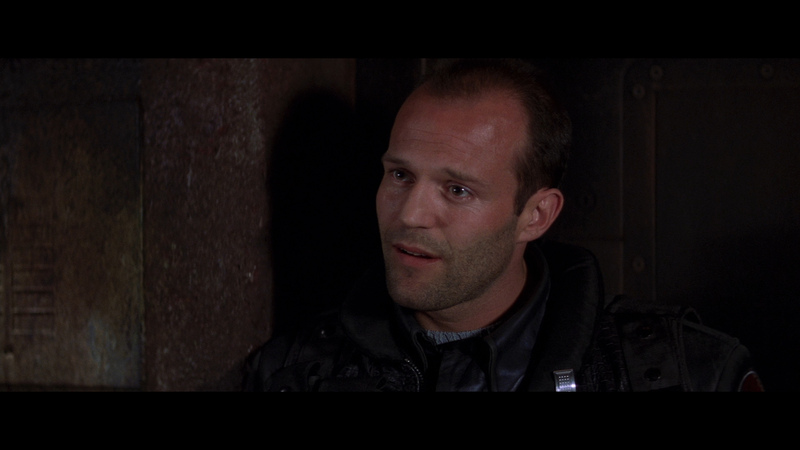 Henstridge is joined by Helena (Pam Grier), Bashira (Clea Duvall), Jericho (Jason Statham) and Uno (Duane Davis). They start finding bodies. 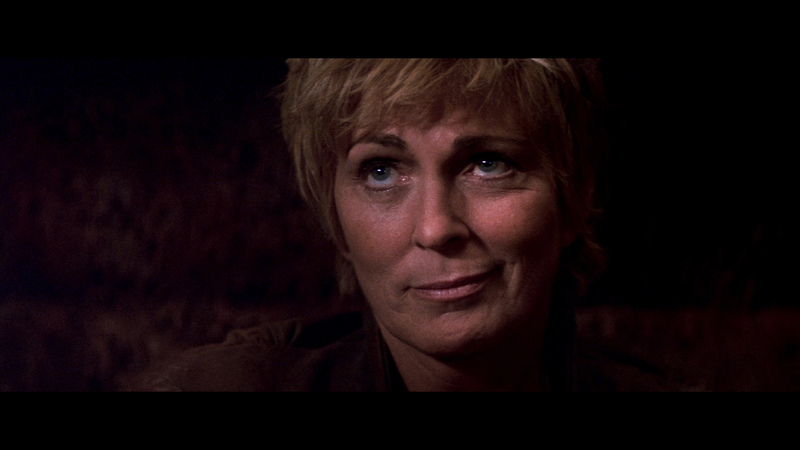 Desolation is still in jail, proving he could not be the killer, and eventually a survivor named Whitlock (Joanna Cassidy) tells the story of how the miners found the entrance to a long-buried tunnel. 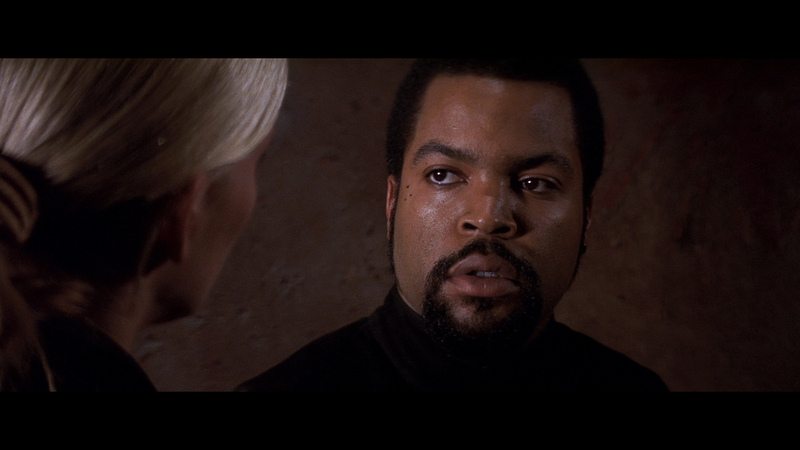 It led to a door which, when merely touched, crumbled into dust and released, yes, the ghosts of Mars. They possessed humans and turned them into killing machines, to take, she says, "vengeance on anyone who tries to lay claim to their planet." 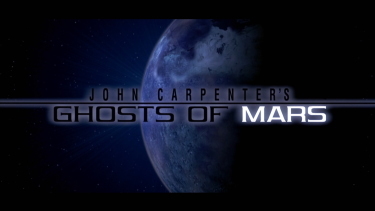 'Ghosts'' is an eco-fable that attacks the smugness of colonialism, and, this being a John Carpenter movie, it's also a fatalistic eco-fable. Characters drop like tech stocks, and actors resolutely deliver the lines in tones stripped of everything except a need to get them out with as little emotion as possible. 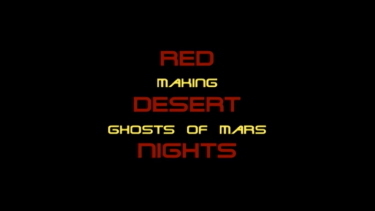 In this film, set on Mars in a mining colony where the artificial atmosphere gives newcomers headaches, the workers have been infected by a force that makes them pierce their cheeks with pins, file their teeth, grunt, gnaw on their own flesh and probably go without brushing after meals. The creeping terror that claims the miners' psyches is a red, dusty swirl -- ''vengeance for anything that tries to lay claim to their planet,'' says Dr. Whitlock (Joanna Cassidy). 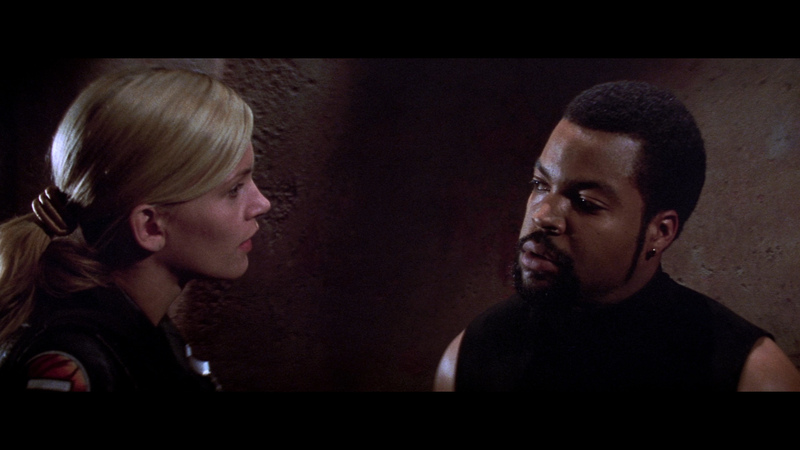 Ghosts of Mars looks solid on Blu-ray from Indicator in the UK. This is dual-layered with a max'ed out bitrate. Close-ups show detail in the 1080P presentation. 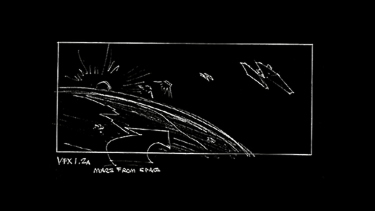 There is no noise in the film's many dark sequences. Colors appear unmanipulated. 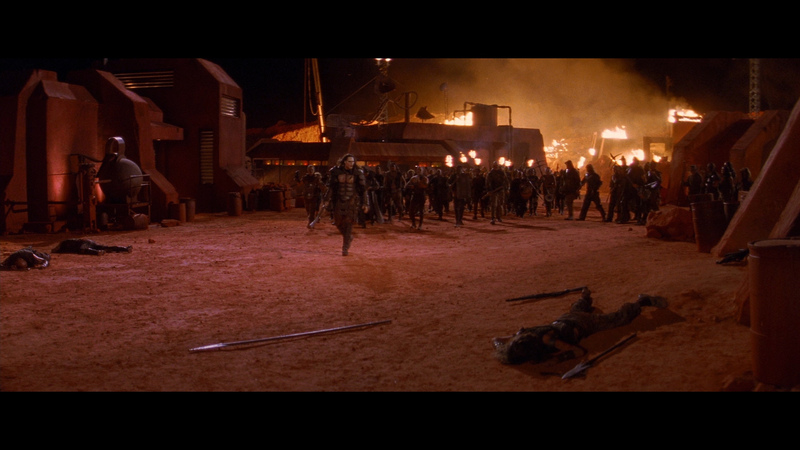 The HD seems to show adept contrast and does a stellar job of exporting the Ghosts of Mars' desert-like, and stark, appearance. 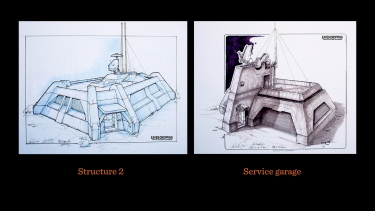 I expecty this is a very strong replication of how the film originally looked. Indicator give the option of a very robust DTS-HD Master 5.1 surround or a linear PCM 2.0 channel. 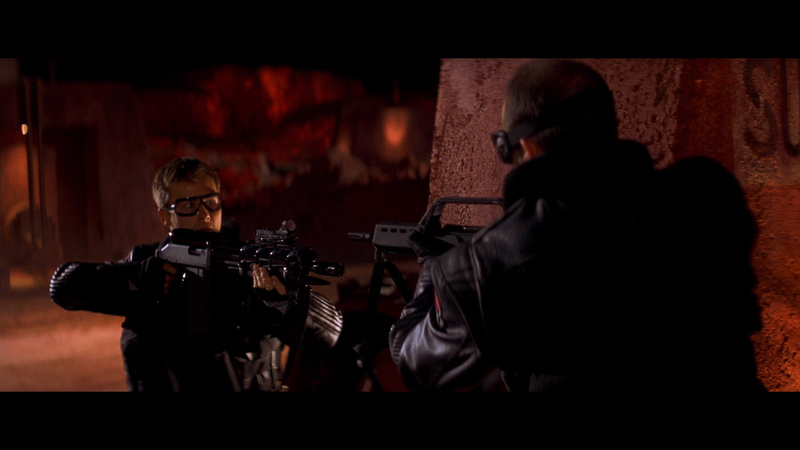 The former exports some solid depth in the film's aggressive effects. There are also instances of reasonably crisp separation. 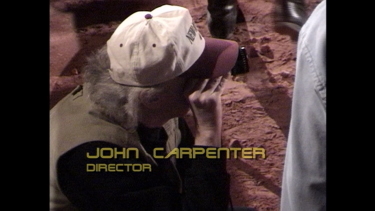 The multi-talented Carpenter, again, does his own score as in all of his films including Christine, They Live, Big Trouble in Little China, Prince of Darkness, Vampires etc. It adds pace and tension. There are optional English (SDH) subtitles and the Blu-ray disc is region FREE. 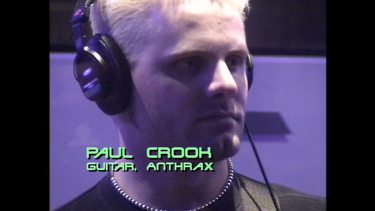 Indicator include the previously heard audio commentary by director John Carpenter and actor Natasha Henstridge and it has some value to fans of the production There is a 6-minute, 2001, piece, Scoring ‘Ghosts of Mars’ with behind the scenes footage at the recording sessions with John Carpenter and bands Anthrax and Buckethead as they record the score for Ghosts of Mars. 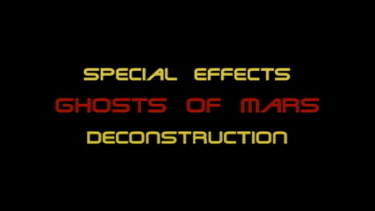 The Special Effects Deconstruction runs 6.5 minutes and is also from 2001 showing storyboards etc. 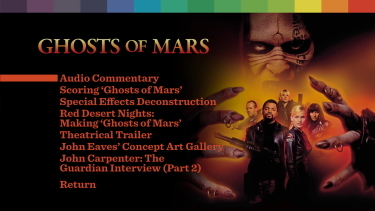 Also from 2001 is the 17-minute Video Diary: Red Desert Nights - Making ‘Ghosts of Mars’ featurette directed by Laura Nix with Danielle Burgio, John Carpenter, Richard Cetrone and others providing soundbytes on the film's red-planet look etc.. 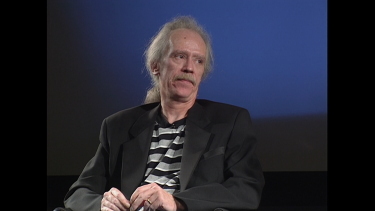 There is an original theatrical trailer and conceptual art gallery plus the second part of the Guardian Interview (running over 40-minutes) which is mostly a Q+A from the audience. 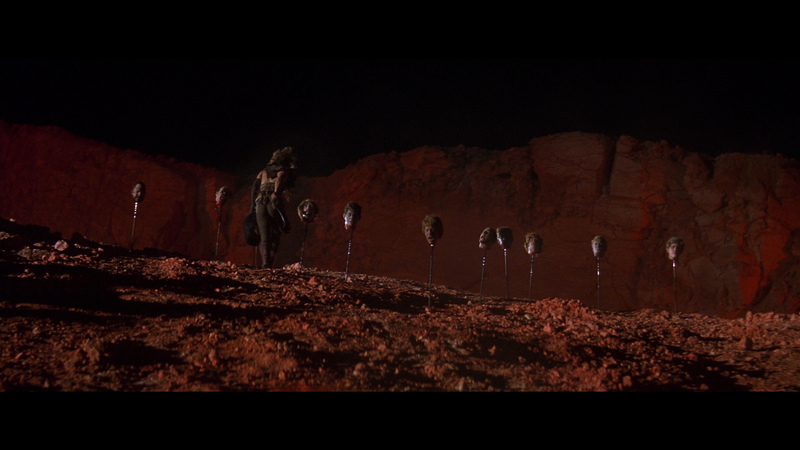 Part one is on Indicator's Vampires Blu-ray. This limited edition of 5,000 copies, has an exclusive booklet with a new essay by Nick Pinkerton and being dual-format includes a second disc DVD. 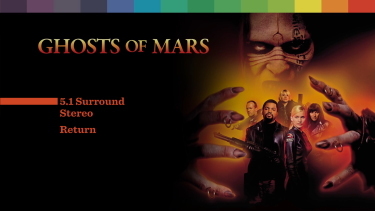 Ghosts of Mars has some of Carpenter's non-conformity themes as well as some 'Zombie' appeal. It's far from his best work but does deserve some analysis. 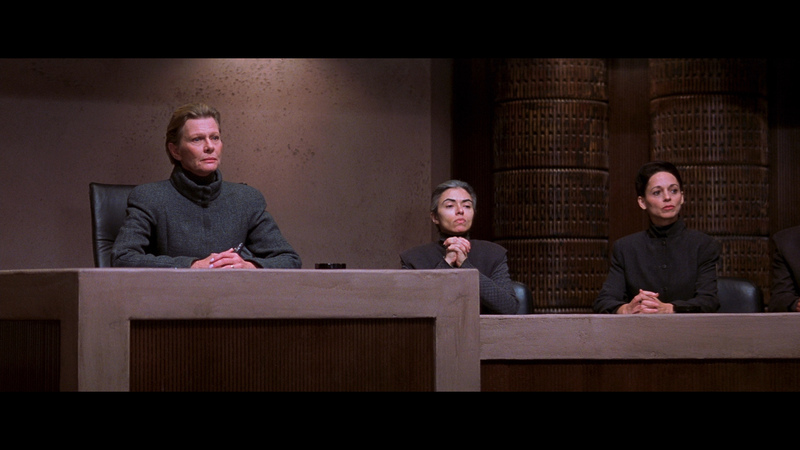 It's a good cast and plenty of action - just not as cohesive as we have seen in some of his better efforts. 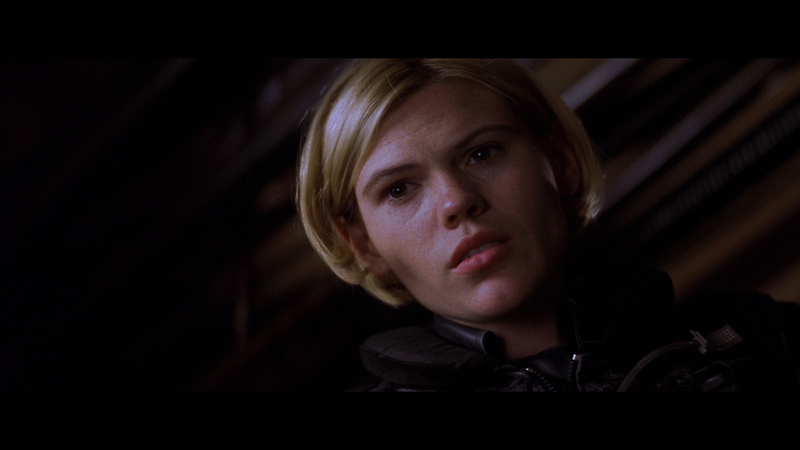 Ghosts of Mars gets a complete package in this Indicator Blu-ray. It's not likely to be bested and fans of the director who desire to watch it in the best possible presentation, with plenty of extras to ruminate over, this is it.